In recent years, US players have had something of a tough time finding gambling sites that accept their currency. It is difficult for US players to find live dealer roulette options online due to the introduction of the UIGEA legislation. It makes it difficult for financial institutions to process payments to gambling sites. As a result, many of the large European casino operators have pulled out of the US market. If you are in the US Live Dealer options are limited but do exist. Fortunately, there are now some excellent options for casino players based in the US – offshore casino sites. These sites endeavor to make casino payments and withdrawals as straightforward as possible. Also, a dedicated staff is there to help the process along the way. As well as Live Online Roulette, offshore online casino sites will also offer other games including Baccarat and Blackjack. How Does Online Live Dealer Roulette Work? 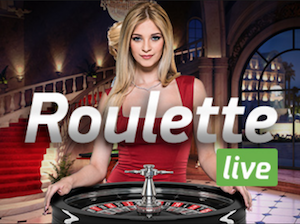 Live Dealer Roulette works by offering a live stream of a table and a dealer whilst betting online. The betting grid will be virtual. However, everything else in the game is real-time, so you’ll see the spin of the wheel as it actually happens. This leads to many players feeling that the live casino experience is safer than a virtual casino in terms of honesty. Still, with the vast majority of virtual casinos being highly regulated, this is certainly not the case. There is a larger selection of Live Casinos in the market. Here are a couple of larger sites offering the chance to play live roulette online. The BetOnline live casino features a stream coming from one of three locations based in Costa Rica and is hosted by HD Live Dealer. 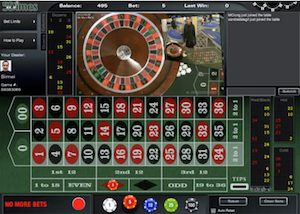 The live online roulette tables offer single zero games. This offers better odds than the double zero US counterpart. The games are hosted by attractive female dealers dressed in little black dresses. These dealers are friendly, attentive and intelligent. What You’ll See Onscreen – You’ll be able to choose between two views when playing Roulette. Also, play on more than one table at once (three being the maximum). Whilst playing you’ll see a history window on the screen. The screen will display recent numbers and a variety of options available for gameplay. Other Offers – BetOnline also offers a sportsbook, a racebook, a poker room and a virtual casino. Account holders will be able to move easily between the separate areas of the site. This is due to the one wallet concept behind the site. At 5 Dimes you’ll have the option of playing Live Roulette at two separate live casinos – Vegas Live Dealer and HD Live Dealer. The Vegas Live Dealer casino is powered by Visionary iGaming and offers two types of tables. The first is European Roulette, with just a single zero. The second offering is Enhanced Payout American Roulette – offering better odds than even European Roulette. What You’ll See Onscreen – The dealers at this casino are predominantly attractive females in their twenties. They offer a friendly relaxed time at the casino. You’ll see the betting grid below a window featuring the wheel and the dealer. This allows you the ability to interact with the dealer through a chat box. You’ll also see various statistics on the screen, including hot and cold numbers, and the history of previous spins. The HD live dealer offering is the same as you would see at BetOnline. However, you might see different table limits based upon the site you are accessing the casino from. Other Offers – 5 Dimes also has a sportsbook, a poker site, a racebook and a virtual casino. Many casino sites offer bonuses when you sign up for the first time. This is the case with all three of the above-listed sites. Bonuses are usually based upon a percentage of your initial deposit. If a site offers a 50% deposit bonus, you’ll receive a bonus of $100 if you were to deposit $200. These bonuses will have play-through requirements. Before the bonus is cleared, you’ll have to play through the total amount of the deposit and the bonus. Keep in mind, you’ll need to do this a stated number of times. Unfortunately, when playing Roulette, you may find that the bonus contribution is reduced – at some sites 25% or lower. This is due to the house edge being much lower at Roulette than when playing other casino games.